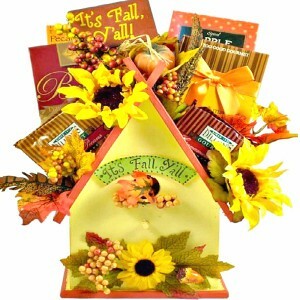 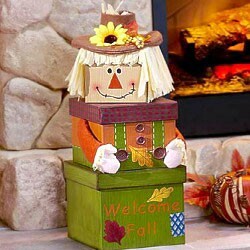 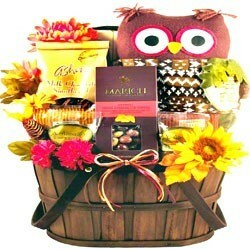 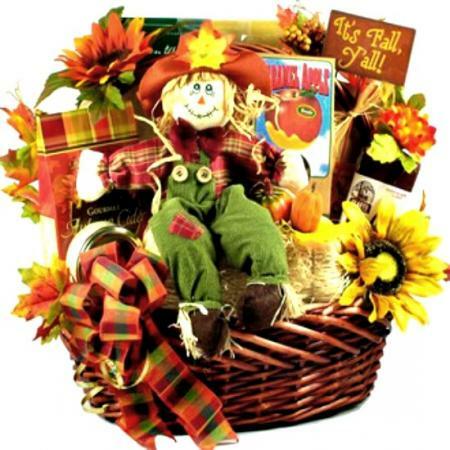 Deliver a smile with this delightful, wonderfully whimsical, Fall hand-painted bushel basket. 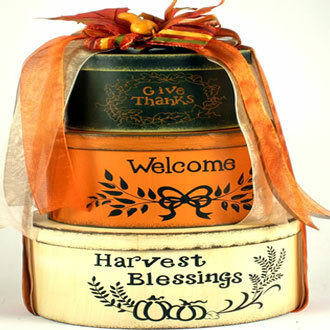 A unique gift for Thanksgiving or any other Fall occasion. 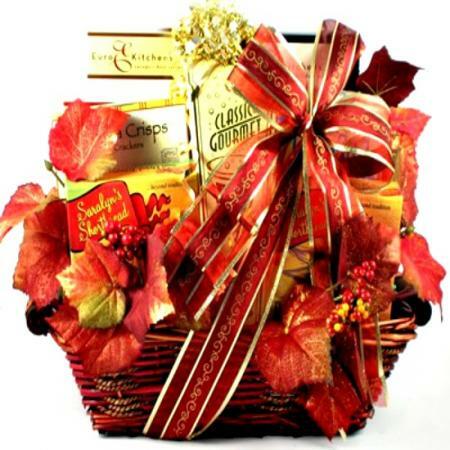 Send them more than a gift this Fall. 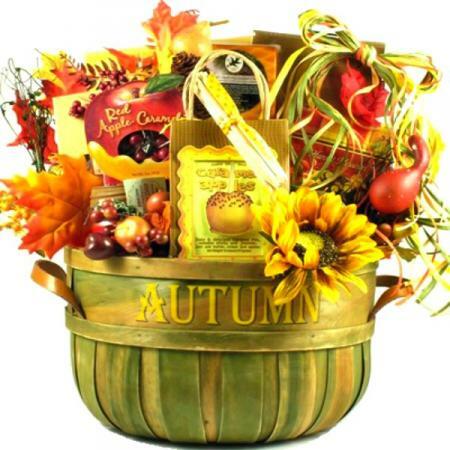 Deliver a big smile, with this wonderfully whimsical Autumn gift that offers a unique hand-painted bushed basket, with leather side handles, filled with delicious Fall goodies for all. 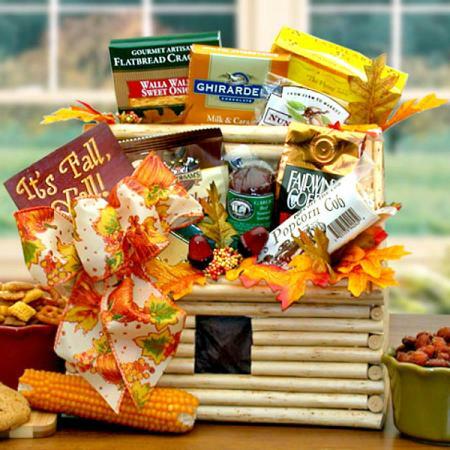 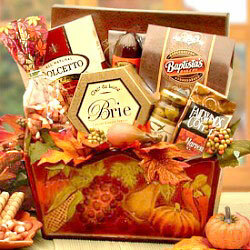 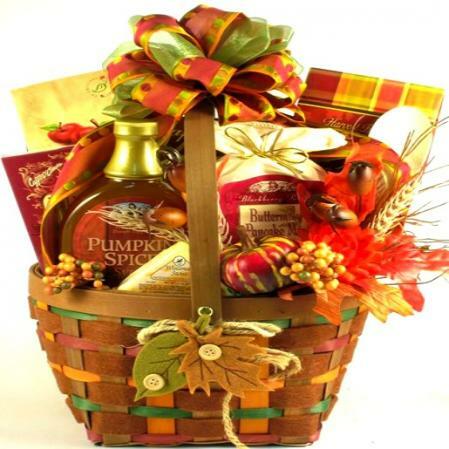 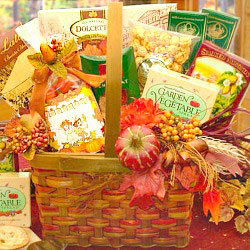 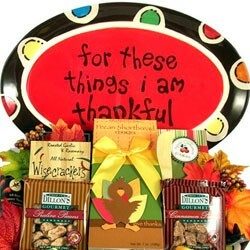 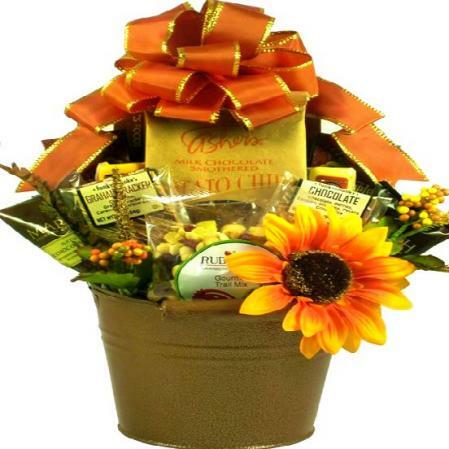 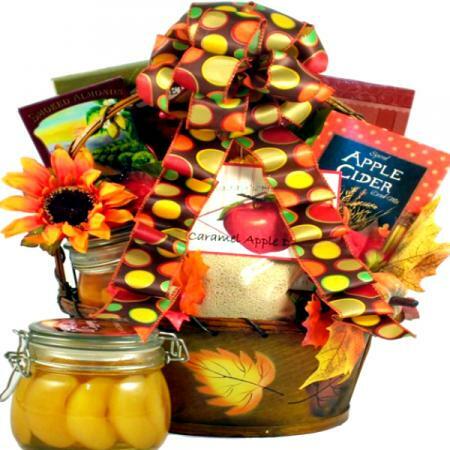 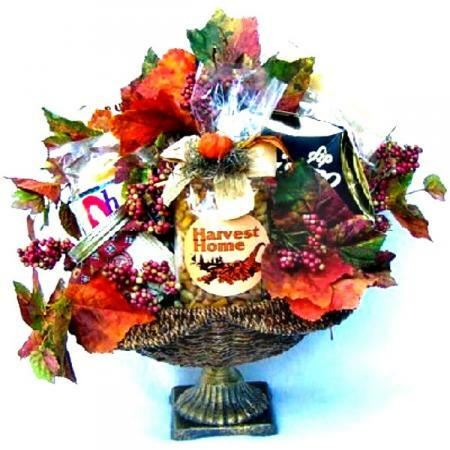 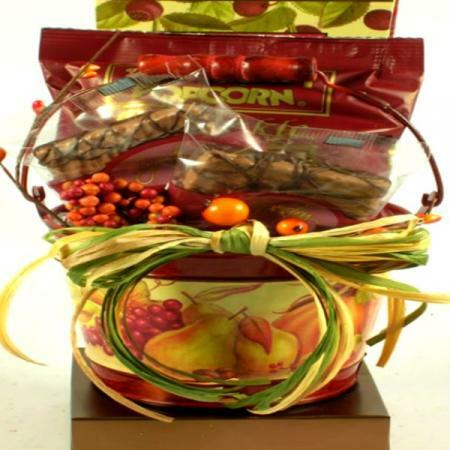 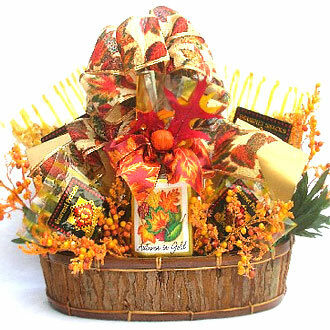 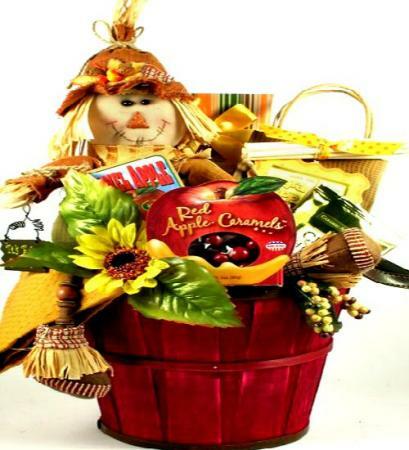 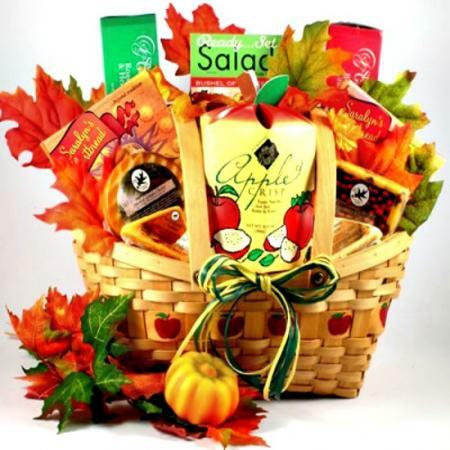 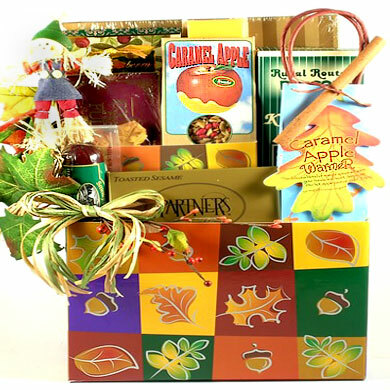 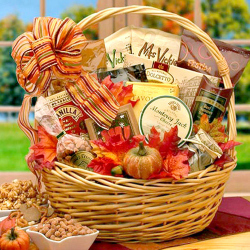 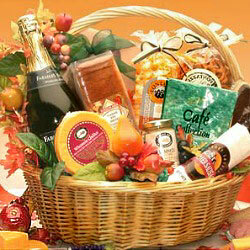 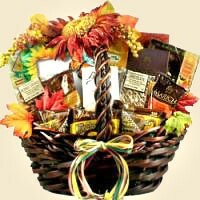 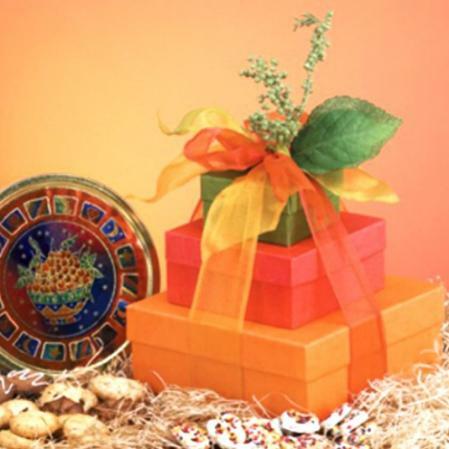 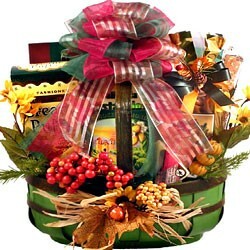 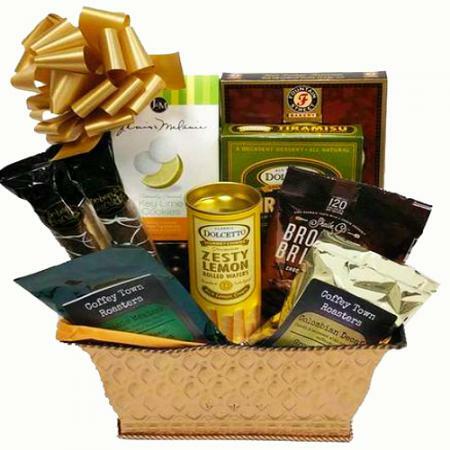 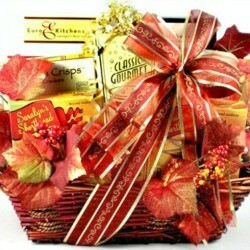 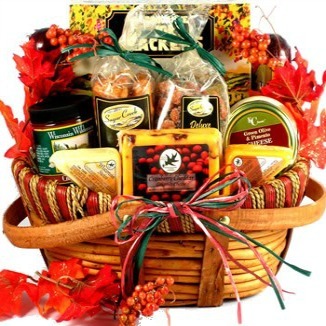 This festive gift basket makes a fantastic Thanksgiving basket, delightful homecoming, Halloween treat or a fun Fall birthday gift!